The U.S. president is unhappy with South Korea’s softer approach to hostile North Korea, putting pressure on other disputes. America is scrutinizing its ally over currency manipulation and trade barriers. With China squeezing the economy, compromise would be advisable. South Korean President Moon Jae-in said on Aug. 15 that any military action on the Korean peninsula would need his government’s consent. "Military action on the Korean peninsula can only be decided by South Korea and no one else can decide to take military action without the consent of South Korea," Moon said in a speech. He made his comments after U.S. President Donald Trump said the American military was "locked and loaded" to respond if North Korea acted on its threats. North Korean leader Kim Jong Un has delayed a decision on firing missiles near the U.S. territory of Guam but could reconsider “if the Yankees persist in their extremely dangerous reckless actions on the Korean peninsula,” the state media KCNA reported on Aug. 15. 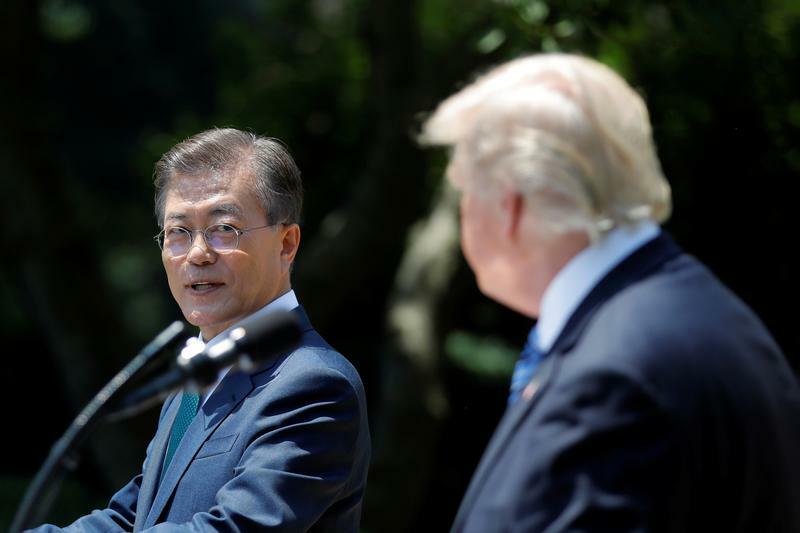 Separately in July, the United States notified South Korea that it wants to renegotiate the 2012 U.S.-Korea Free Trade Agreement. U.S. Trade Representative Robert Lighthizer called for a special joint meeting to be held on the matter in August.